As soon as you walk into KKC, you can smell the golden Cajun-spiced deep-fried deliciousness that are their Krispy Chicken. 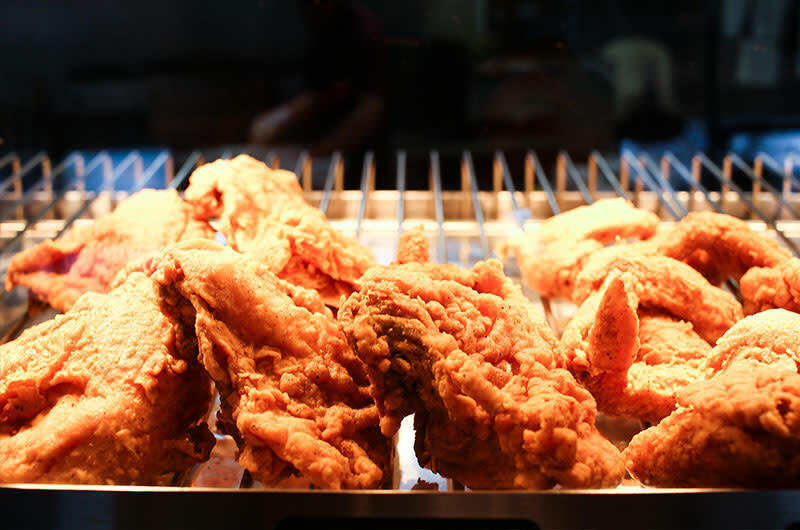 Their chicken comes with a choice of dark meat, mix, white meat, as well as tenders and Buffalo wings. Enjoy their signature Krispy Zinger Sandwich, as well as their Cajun shrimp, jambalaya, tacos, and more.